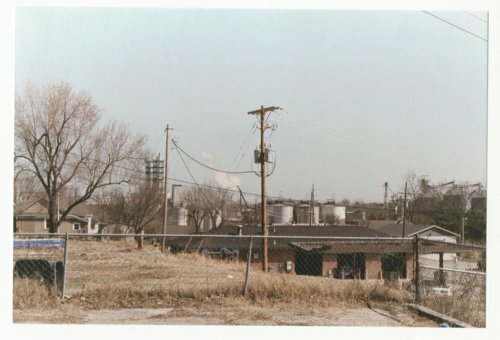 Here are two photographs of Atchison, Kansas. The first photo shows the Atchison, Topeka & Santa Fe and the Chicago, Rock Island, and Pacific Railroad freight depot on 10th Street. The other photograph was taken from 1523 Main Street looking east in Atchison, Kansas.